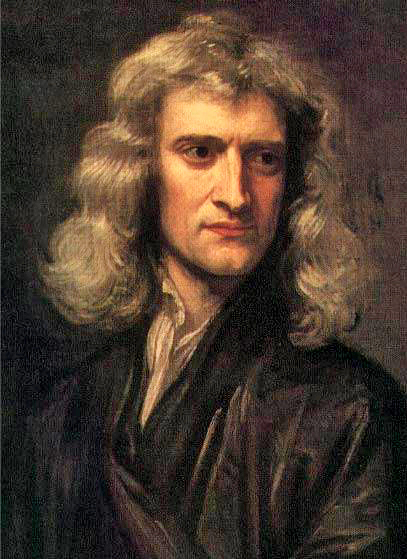 Isaac Newton wondering where he left his Fixie last night. Learning the basics is never fun. Isaac Newton wrote to Robert Hooke: “If I have seen further it is by standing on the shoulders of giants.” This concept is often applied sporadically, without understanding how you even climb on the giant in the first place. 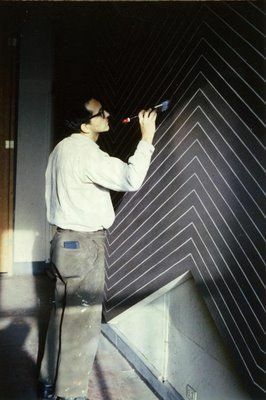 Frank Stella, a mid-century conceptual painter, often repeated this sentiment. He skipped learning how to apply paint, and went straight to the conceptual basis of painting. In doing so he never learned what makes painting function in an engaging way, and to this day he bores the heck out of me. Apologies if you are a Stella fan. Stella never learned the basics, and as such, could never have fun with his work, so it always suffered from trying too hard. Frank, wondering where he put his sense of humor. We think: get a great, contemporary bike with the best bits 2012 has to offer. There, we can ride anything now. My form will be better. My climbing will find divine rhythm. My back will stop hurting when I lay into a long pull at the front of a pace line. I’ll clear that rock garden with two extra inches of travel. Gadgets are good, so we think: I’ll get a pile of gadgets that monitor our heart and speed and cadence and pace and the mean, median and mode of our time on the bike. That will maximize my experience. Mediation and self-improvement through technology. An age-old concept. I’m stuck sitting here, pretty late at night, listening to Bill Evan’s a Portrait in Jazz. It’s a great album, and subtly different from most piano jazz, in that it’s good, but laid back, restrained, and full of a deep technical mastery. Bill Evans had a crappy dentist, but knew some important stuff. In this You Tube Video, he talks about what makes a good jazz pianist. Coincidentally, it’s also what makes a good cyclist. Learn the basics. Learn how to ride with minimal impact on your body, how to climb and not look like you are about to fall over and lay gasping in the median, how to descend a dirt road without worrying, how to walk into a coffee shop and deal with the stares without caring. Learn how to shift and brake properly, how to hold your elbows, and where to look on the trail. Figure this stuff out. You don’t need anything but a bike. Then get the doo dads. Add stuff after you figure out the basics. When you have nothing left to learn, and all that is holding you back is your bike, upgrade. Eddy Mercyx said: Don’t buy upgrades. Ride up grades. Here is a great link to more or less a full Bill Evans album, for free, online. It’s streaming. Listen to whilst making dinner, or the next time it rains. It’s a good listen, I promise. 2/29: LIMITED CLASS SIZE FULL FULL SORRY…. email us at bikedrfrederick (at) gmail (d0t) com to get in on the action: James (that’s me!) will teach you how to lace a wheel (you pick, front or rear) and tension it so it won’t explode on you, or crumble like Michelle Bachmann’s presidential chances. You’ll be buying some basic spokes (or really nice ones, whatever you want) a cheap rim, and a cheap hub to learn this skill. Get something you can put on your commuter, so it doesn’t go to waste. If you want to take this class, ya gotta buy the stuff from us, but we’ll point out OK cheap stuff. Figure this class will go to about 9pm. We need to hash out what you need soonishly, so let us know, with a quickness. No shop rides this week, we’re busy busy getting ready for our expansion. bike doctor in the world at large, Bike Technique, clinics/shop events, Conceptual Painters, Dirt Road Riding, Dirt Roads, Fixie, Frederick Riding, Jazz, Lots of Pictures for the Illiterati, Meaningless Quotes, Mid Century Nonsense, Music Musings, Physics and You, Posts that start with the letter P, Record Collecting, Things you should be into, what's your epic?A portrait in jazz, bike doctor, bike doctor frederick, bike doctor shop action, bike technique, Bill Evans, Bill Evans Trio, bill evans you tube, clinics, dirt roads, dirt roads in frederick county, frank stella, frederick, Group Rides, isaac azimov, isaac newton, jazz piano, mid century minimalism, mid century modern, modal jazz piano, modal tunings, what's your epic?